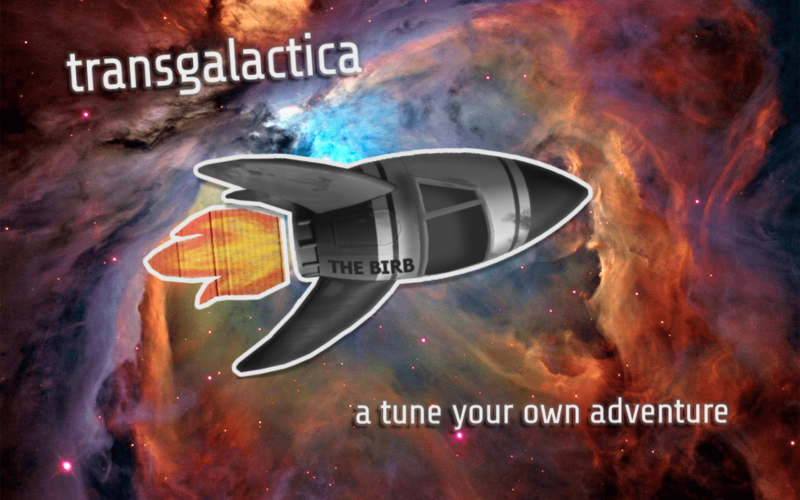 In transgalatica: A Tune Your Own Adventure, you are a trans person hurtling through space in a tiny spaceship and listening to a radio. Follow the trail of broadcasts from T.R.A.N.S. (the Trans Radio Artists’ Network in Space) to find them and join them. Made for Global Game Jam 2018 with Dietrich Squinkifer. You can play it online here! I also wrote a blog post about GGJ 2018.